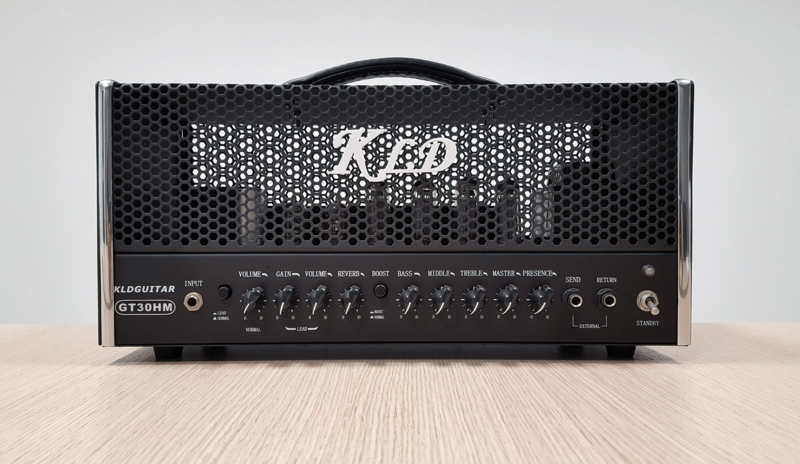 GT30HM is newest production of KLD Guitar. The circuit designed with three 12ax7 preamp valves and four EL84 valves for final amp stage, allows a quick variation of tones, from vintage blues to modern hard-rock and grunge tones. The boost switch is particularly useful in obtaining the more traditional crank-amp tones without the harshness generated by sending too much low end to the power amp. The 30 W power level is just the right amount for power amp chunk and sustain at a reasonable volume. This head provides all the extra gain you’ll ever need. Classic Gain and Ultra Gain channels, both with 2 modes that can take you from warm, clean tube tones to the souped-up threshold of sonic danger. A Deep switch adds a resonant bass boost for a meatier bottom end and a Tone Shift scoops out the mid frequencies making it ideal for heavy metal tones. 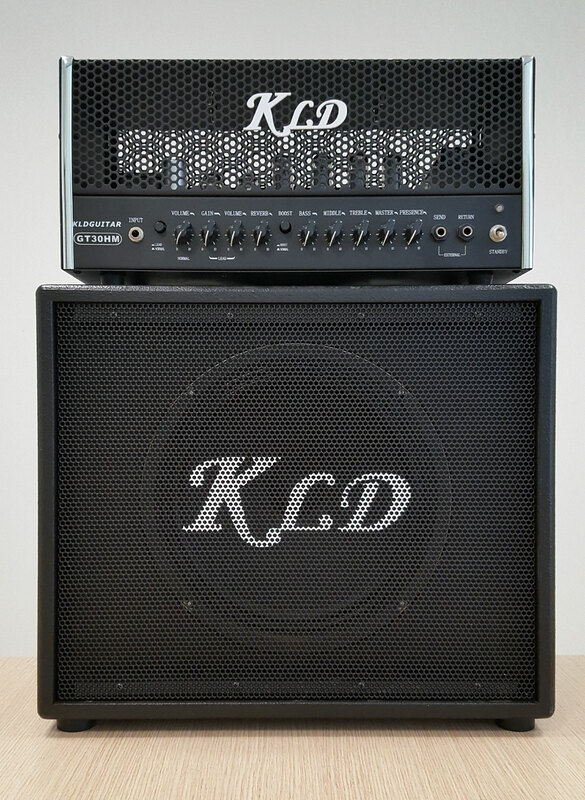 Two particularly modern additions to this amplifier are the reverb and effects loop. The reverb unit is the long spring type found in most guitar amps since the 50s. The effects loop comes in especially handy when used with delay, chorus, and many other effect unit, rack or stomp box when you don’t want the associated noise of connecting them in-line with the amp.